2018 has brought about many changes in many aspects, and I thought that with the year coming to a close, it was time to do a comprehensive update to you. I apologize for the waiting and lack of presence on all platforms. Though writing is my first love, the real world calls, as it often does, which has left increasingly less time for writing. I have done my best to write whenever I can, but outside pressures as well as working on multiple projects has multiplied the difficulty of completing anything. It is frustrating, and I am eager to become more diligent and producing more of these projects for which the flow of ideas never stops. One announcement I am prepared to make is that Ideal Hero is in the final stages of editing and will hopefully coming to e-readers by early spring. The novel has been a labor of love, and while it has taken over five years for novel to come to fruition in this final version, I believe it has been well-worth the wait and hope that you are eager to read Rafe and Jennifer's story. Dreams is another novel I have been working on for some time, and while it is still in the initial drafting stages, I feel the novel is strong and I am elated for the day I am able to share it with all of you. Besides those two projects, I also have two other solid projects in the works to which I have begun drafts. I will disclose more details regarding those projects as they come further along in the development process, but each of these projects are reflective of my future goals to expand my writing and experiment in additional genres. In addition to this, a close friend/photographer will be assisting me in redesigning my website and social media platforms with new author photos and graphics. Thank you to all of you in your continued support. I appreciate your loyalty and cannot wait to see what 2019 brings! The day has arrived! 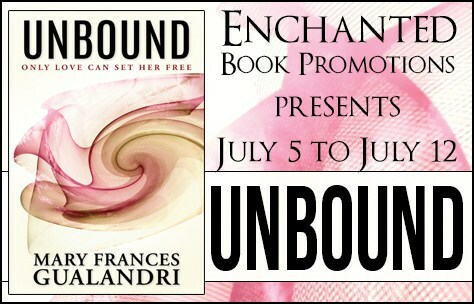 Unbound is officially available on most e-book retailers! I am so excited for all of you to meet Dash and Celia. Stay up on my Facebook and Twitter pages for exclusive details! Special Thanks to Robin Ludwig Design Inc.​, who created the amazing cover! Synopsis: Celia Emerson lives a double life. On the outside, she is a beautiful, successful artist mesmerizing the East Coast with her mysterious works of art. Behind closed doors, however, Celia harbors a dark secret that has left her elusive and distant. However, there is one tall, dark, handsome stranger who gets her blood pumping and tangles her feelings in knots, making her consider breaking down the walls she put up around herself. Available for most e-reader formats! I swallowed hard. I wasn’t sure what I should be expecting from her right now. We’d never been this close before, least of all on a bed with my family in the same hundred or so foot radius. I had to be careful. Celia wasn’t sure what she wanted right now and shouldn’t jump into anything impulsively. Hadn’t we just talked today about the importance of taking it slow? The look in her eyes right now and her body language were indicating something entirely different. Celia slapped a hand in the middle of my chest. I looked down at where her hand seared my skin through my shirt, a little unsure of how to react. I didn’t have time to because the next thing I knew, Celia lips were on mine, her mouth assaulting mine urgently. God, she was good at kissing, her tongue tracing my lips, forcing them open. Her hands slid up over my chest past my shoulders, finally settling in the hair at the nape of my neck. I groaned, my hands moving up to grip her waist. The satiny fabric was a thin barrier between her skin and mine, and I palmed it gently with my hands. Our tongues entwined furiously, and it wasn’t but a few seconds before I found myself rolling her onto her back. Her eyes flew open, and that’s when I knew this wasn’t right, at least not now. She wasn’t ready. What I did know was that we had chemistry and a hell of a lot of it, but it was too soon for physical intimacy no matter how she seemed to think that it would solve her fears. Fiction has forever been drawn to the tortured hero. He is someone who has made difficult decisions throughout his life and struggles to atone for his sins. No matter what he does, it will never be enough to sate all the wrong he's done, at least in his eyes. Sometimes, the hero never sees the good in himself and the story ends in tragedy. Happier stories end with the hero accepting his flaws when he is triumphant in another venture. I knew Killian Jones, AKA Captain Hook, was a tortured hero after watching "Tallahassee." In the prior two episodes, the side of Killian Jones that the audience saw was that of a scoundrel, a ladies' man, and a ruthless pirate. He'd stolen Rumplestiltskin's wife and attempted to goad him into a duel. While charming, his likability level was low, yet Colin O'Donoghue's meticulous acting made the viewer want to know more, particularly after the Dark One himself chopped off the pirate's hand after murdering his adulterous wife. It was apparent that "Captain Hook" was now on a mission to get revenge on "the Crocodile," and the audience couldn't wait to see that. "Tallahassee" altered the view on the character of Killian in a drastic way. 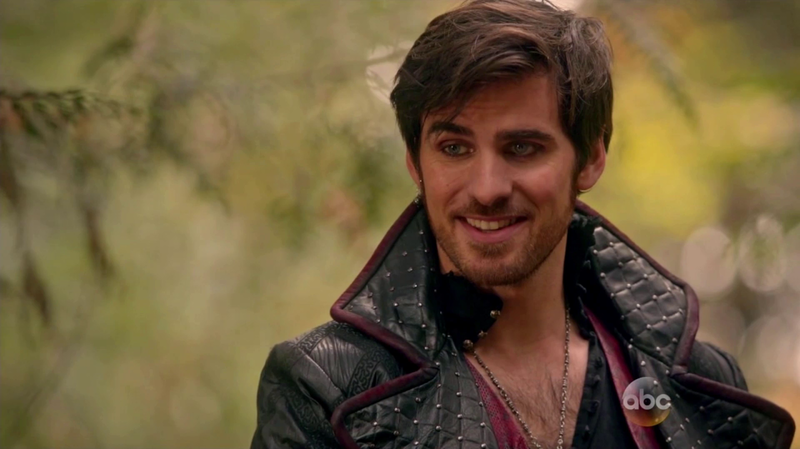 Easily his most vulnerable episode in the character's debut season, "Tallahassee" reveals that Killian is much more than an irresistible, swashbuckling pirate. A tattoo on his forearm reveals how deeply the murder of his first love gutted him. When pressed by Emma Swan on the subject, he clams up and answers with vague words. He uses flirting as his defense; sexual innuendos serve as his specialty. The viewer can't help but be drawn in by Killian Jones' magnetism, yet knowing somehow that there is a sad story behind those blue eyes. Killian's backstory is still in the process of being revealed to the audience, and the sporadic pieces of the puzzle have been three seasons in the making. The structure of it is very similar to that of any romantic hero. Killian's mother died when he was a young child, leaving him and his older brother, Liam, in the care of their father. One night, he awakens to find out that his father is a fugutive and that he and his brother have been sold into servitude. The two of them spent their formative years in the service of cruel masters who drove him to drinking early on. After a fateful voyage to the Eye of the Storm to retrieve a precious gem, the Brothers Jones were recruited to the Royal Navy, where they excelled in service to the king. A trip to Neverland forever changes the lives of the Brothers, when Liam, a captain, is poisoned and killed because of the voyage. Killian, driven by anger and grief, takes his brother's ship and becomes a pirate. The life is for him, one full of treasure and women. 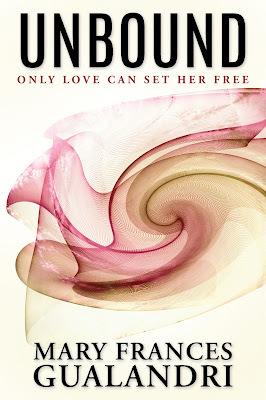 That is, until he meet Milah, a married woman desperate for a life more exciting than her own. She begs to go with him, and he obliges. They fall in love upon the high seas, but as Killian discovers, there is a price to be paid. Many years later, Milah's husband, now the Dark One, appears, killing Milah and taking his hand. The trauma leaves Killian angry and full of vengeance, willing to do whatever it takes to get it, including killing his own father. Everything appeared to shift, even if it was only slightly at first, when he met Emma Swan. In her, he saw a lot of himself: the abandonment and loss. He is drawn to her and pursues her at first with his innuendos, to which she rolls her eyes and keeps walking. Over time, it is obvious in the longing looks that he wishes for her to see beyond his pirate exterior. The first glimpse of it is in their journey to Neverland, when she discovers he has saved her father's life. While it was prompted by teasing and goading, Emma throws herself into a kiss with him, one that he thinks means more than it actually does. That kiss heavily impacts his decisions over the course of the rest of the season, as he keeps trying to hold on to hope that it meant something despite her "one time thing" comment. It leads him to reveal that Emma's former lover Neal is alive and in Neverland despite the fact that they are competing for her affections. It makes him go after her, traveling across realms and trading his ships to get to her even when she didn't know who it was. It forced him to make a choice in an effort to save her son. All of these contributed to Emma finally seeing the man beneath the leather and faux confidence. Since making their relationship official at the conclusion of season three, Emma and Killian have been on an entirely new journey to discover how to navigate romance. Both of them have spent many years alone, their nights filled with meaningless one-night stands to ease the emptiness inside them. Therefore, in the midst of all of the crises in Storybrooke, they've had to steal "quiet moments." A date at an Italian restaurant, lunches on the now-recovered Jolly Roger, and dinner at Granny's. He respects her, treating her like all women deserve to be treated. More than that, though, it's in the little moments, like when Emma showed him the box that contained the contents of her childhood or when Killian revealed that she was his happy ending. It is in those moments that the audience see that vulnerability is the core of this relationship. Both of them feel safe revealing the difficult things to one another, and those are the times when we see the growth in their relationship. For a man like Killian, who is adjusting to a modern world with new standards, it is growth that is truly a gift to see. The first arc of season five was heavy for Killian and Emma's relationship. With Emma taking on the darkness, Killian was forced to resist her and push her away, not realizing that he is also a Dark One capable of massive destruction. His biting words when he embraces his new persona are a sharp contrast to the man who reveals he wants a future with Emma, to take a step forward and move in together. Ultimately, that arc ended with Killian sacrificing himself, ending up the Underworld tortured by Hades. Emma wasted no time going to find him, and while he felt undeserving initially, it took a reunion with his brother to realize that he did deserve saving and wanted to pursue a future with Emma, no matter how difficult the journey might be. Over the course of nearly four seasons on the show, Killian Jones has emerged as the man of honor he so desperately wanted to be. It has included some of the most heroic sacrifices of all, including dying for the woman he loves. That journey has not been without its errors and returns to the darkness, as many critics of his character stress. What many people forget is that mistakes are a major part of a hero's journey. Like anyone else, these characters are not perfect, one of the many reasons we connect to them. The worst part of the criticisms of Killian's character is that despite some of the ugly things posted on social media, no one hates Killian Jones more than Killian Jones. The amount of self-loathing he has is visible often in small moments usually shared with Emma. In his eyes, he will never be a good enough man to deserve her love. He has taken steps forward in learning to love himself, but it has taken the love of another for him to see the good parts of himself. I have a feeling that the audience will continue to see these insecurities, so often hidden behind a facade of smooth arrogance and flirtatious remarks, until the conclusion of Once. Words cannot express how brilliantly Killian Jones has been created as a romantic hero. It was never about Emma changing him. Instead, it was about her helping him to open his heart and rediscover feelings he had long since repressed, an observation I saw on Tumblr. In some ways, that has changed him, but the writers and producers did not go with the overused good girl trying to tame a bad boy trope. In fact, the beauty of Killian and Emma's love is that it has given each of them room to grow without one pushing the other to do so. There is a sense of realism in it, which is what one would least expect from a show about fairy tales. Young girls spend their childhoods dreaming about the prince who will sweep them off of their feet. I, for one, would much rather have the flawed pirate willing to do anything for the woman he loves and will never stop fighting for her, forever willing to go to the end of the world (or time) to make that happen. Thank you for reading this series! I will be returning soon with new blog posts! Orphan. Savior. Lost girl. Mother. Dark One. These are all words that have been used to describe Emma Swan, often simultaneously. Most of them display the strengths of her character, or at least how she built herself to be who she is. Others, such as her new role as the Dark One, show how these roles can culminate and ultimately cloud the light within a person. It is plenty of meat to work with as a writer and allows for the creation of a truly three-dimensional character. It also makes her much more difficult as a romantic interest. Emma Swan (played by Jennifer Morrison) in a season 3 promotional shot. Photo courtesy of ABC Studios. Emma is an extremely guarded character. She trusts few people, and it takes a long time before she allows them in. That makes falling in love with someone quite difficult. Still, looking at Emma's history, her skepticism and distrust of others is completely understandable. She spent the first eighteen years of her life shuffled around in the foster system, feeling out of place and unwanted. Following that, she spent time as a thief, joining forces with Neal Cassidy, forming a Bonnie and Clyde-like team. They fall in love and make plans for the future in a hotel room with a dreamcatcher and a map. Their bliss ends all too quickly, a warning from an elusive stranger sending Neal running, leaving Emma to go to jail for their crimes. Worse yet, Emma discovers that she is pregnant. She gives birth in jail and decides to give the baby up for adoption. After leaving jail, she turns her life around, getting a job in bail bonds. She establishes a new life for herself, yet she is all alone. Finding out at the age of twenty-eight that she was the daughter of Snow White and Prince Charming and the Savior of an entire world of storybook characters only seemed to strengthen the walls around Emma. It hadn't helped that she'd known her parents first as friends, or that Graham (fairy-tale alias: the Huntsman from Snow White) a man she had a genuine connection with in the town of Storybrooke, was killed shortly after they met, just another in the tragic string of losses in Emma's life. Her son, Henry, was really the only person who could get through to Emma throughout the first three seasons. To this day, all of her relationships are complex and layered. Killian Jones' appearance in Emma's life was significant from the start. At first, he seemed like just another man who came onto her with flirty lines determined to score an easy conquest. Emma's reaction to this was, obviously, to roll her eyes and keep walking. She had dealt with enough smooth guys in her life to see someone like him coming from a mile away. However, their adventure on the beanstalk in "Tallahassee" showcased a much deeper connection between Killian and Emma. He could see things in her that no one else recognized, perhaps because they were reflections of herself. Despite being reluctant to reveal anything to him, Emma spends much of the episode remembering her first love, Neal, and how important he had been in shaping her life. Killian challenges her to remember and encourages her to trust him, an opportunity she rejects in the episode because of her fears. Emma Swan in Neverland, season 3. Emma maintains the firm walls around herself throughout the season as Killian bounces between being good and bad, continuing to push away anything she might have felt for him. However, she is forced to join ranks with him as well as a larger group of heroes and villains as they journey to Neverland to save Henry. The sexual tension between Killian and Emma begins to mount, culminating in a passionate kiss shared after some goading from Killian. However, Emma discredits the moment almost instantly, referring to it as a "one time thing" and refraining from mentioning it to anyone. It is evident that Emma's fears hold clout over her. She is afraid of the feelings that Killian Jones awakens in her, and her natural response is to push him away. She succeeds in doing that for the majority of the season. Emma's life is turned on its head yet again when another curse is cast, sending Emma and Henry back to New York with no recollection of their lives in Storybrooke. Emma and Henry live like this for a year, in a domestic life that they had never had the opportunity to before. She finds a boyfriend who is preparing to propose when Killian shows up at her door, kissing her in an effort to jog her memory. While that doesn't quite do it, a memory potion he offers does. Still, even when she realizes that her entire life in New York is based on false memories, it doesn't stop her from wanting to return to that life, mainly because Henry does not know the truth as there was not enough memory potion for him. While fighting yet another Storybrooke villain upon her return, Emma is determined to return to New York upon finishing and resuming the life she has built there with Henry. While much of it is because she is comfortable with the life she'd built in New York, it is apparent that she is also running away from Killian and the possibility of love. When the curse took over, she'd forgotten everything that transpired between them in Neverland. However, because all of her memories had resurfaced, she is now desperate to run away and find "home." A turning point for Emma romantically came at the conclusion of season three, when she and Hook take a trip to the past, which results in them changing the future and the two of them being forced to work together to get future events on track. At one point, the two of them are forced to attend a royal ball, complete with a Cinderella-like costume change and romantic dance scene. For the first time, Emma felt as though she was a princess and was a part of the storybook. Not only that, but she was able to use the magic she thought she'd lost. Upon the return to Storybrooke, she finally realizes that the quirky little town is home and she learns to appreciate her family. Emma's next step is accepting love. When they return, Emma discovers that the reason Killian was able to get to her was because he traded his ship for a magic bean to get to her. For once, someone truly put Emma first. For Killian and Emma, season 3 ends with a kiss and the promise of a new relationship. Season four was good for Killian and Emma. The two of them begin to fall into a routine, as we see them go on their first date and slowly watch both of them reveal more of themselves to one another. This includes Emma allowing Killian to go through a box of things from her childhood and Killian fixing a mistake with sea queen Ursula from his past. However, it was the end of the season where the challenges to their newfound happiness began. The Author of the storybook creates an alternate universe that reverses the roles of the heroes and villains, leaving Rumplestiltskin the primary villain of this new tale and Snow White and Prince Charming as evil royalty. Emma is locked in a castle, relegated to knowing the truth but not being able to do anything. When Henry helps her to escape, she finds Killian to be a cowardly one handed pirate who is far from the man she knows so well. Their reunion is short-lived, as Killian sacrifices himself to save her and Henry. It is only after that that she reveals to Regina for the first time that she loved Killian, yet she never told him because she was too afraid that it would drastically changed everything. Her vulnerability in this scene is gut-wrenching, as it displays perfectly how much Emma has changed and the emotional intimacy that she has allowed in her relationship with Killian. The work of the Author is eventually undone, presenting Emma with the perfect opportunity to tell Killian that she loves him when they meet again in her parents' apartment. However, just as she is about to tell him, she panics, instead replacing the words with suitable substitutes. It breaks the heart of the viewer that Emma is so afraid to tell him that she still won't even after almost losing him. However, that is Emma Swan. Season four concludes with the darkness that has been filling Rumplestiltskin being removed from his body and surrounding the town of Storybrooke. In order to eradicate the darkness, it needs to be put in someone so that it can be controlled by the dagger. Then, in a heroic move we have grown to expect of Emma, she takes the dagger, allowing the darkness to consume her. This is not before she reveals to Killian that she does love him. She vanishes into thin air, only leaving the dagger, with the name Emma Swan clearly engraved on it. The Dark Swan arc was a shock and delight to fans. The transformation of Emma from the light, leather jacket-wearing Savior into a cold Dark One clad in skin tight, black clothing was chilling, to say the least. She was methodical, and her sultry attempt to convince Killian to trust her opened into one of his best scenes: when he rejects her advances and tells her that isn't who he is. More shocking yet is the discovery that Emma is not the only Dark One in Storybrooke. During weeks missing in the memories of the other Storybrooke residents, they traveled to Camelot and attempted to rid Emma of the darkness. To do this, they need to reunite the legendary Excalibur sword with the Dark One dagger, as together, they create the most powerful weapon of all, that could eliminate the darkness forever. Killian is struck with this dagger, and the wound is fatal. To save him, she makes him the thing he hates most: the Dark One. 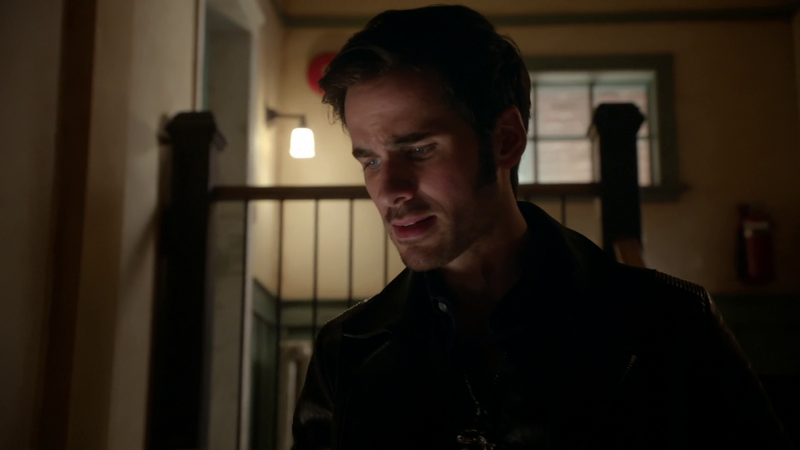 Killian is unable to fight the darkness, particularly after Emma's own darkness allows her to distrust him. Therefore, he enacts the dark curse that sends them all back to Storybrooke after killing Merlin the sorcerer. Emma, distraught by his actions, knocks him out, and removes his memories and the memories of all of those who knew he'd become the Dark One. It leads to Killian, now angry that Emma has lied to him since the return from Camelot, to exact his revenge by bringing back all past Dark Ones. Ultimately, though, what happens is the last thing that Emma Swan should have had to do. In a shocking twist, Killian breaks through the darkness, stating that he is being the man he wants to be. He absorbs all of the darkness into the now-whole Excalibur, telling Emma that she needs to kill him with it to destroy the darkness forever. In other words, she is forced to let another person she loves die. Even as she begs him not to, Killian tells her that it is okay and that he does not want to lose her. Despite her love for him, she does as he asks, stabbing Excalibur through him, allowing Killian Jones to die a hero. The last scenes of 5A's finale were heartbreaking and groundbreaking for the character of Emma Swan. We see her truly grieve for Killian, unable to let go of his hand as the paramedics take him away, laying aimlessly in the house he picked out for them, twirling his ring on the chain around her neck. The loss of Neal in season 3 paled in comparison to this. It only went to prove how deeply she loved Killian and how much it gutted her to lose him. 5A ended with Emma's decision to follow Killian to the Underworld after discovering that Rumplestiltskin had absorbed the darkness as Killian died, allowing him to become the Dark One and Killian's sacrifice to be in vain. The episode "Swan Song" concluded with Emma echoing the words her father had first uttered in an early episode of season one: "I will find you...I will always find you." There had been no man before that Emma Swan would have ever thought to go that far for, proving just how broken her walls were. 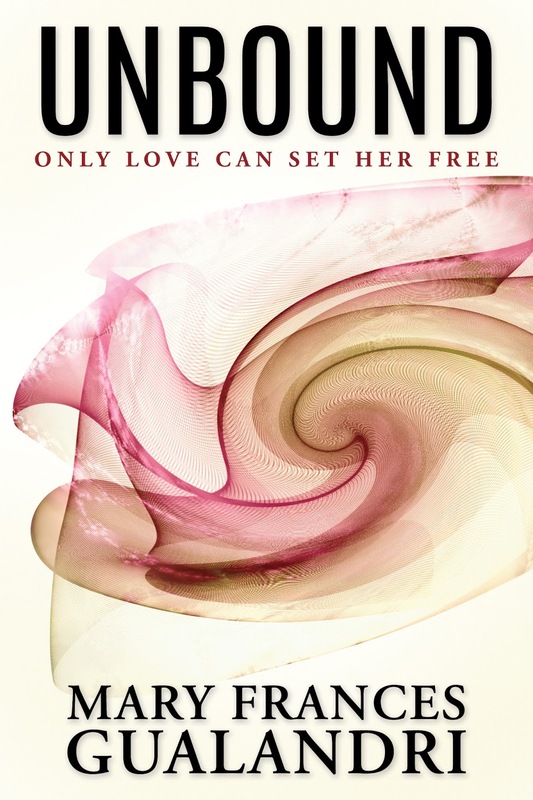 In romantic novels, both the heroes and the heroines are on a journey that leads to love. Even more than that, though, another part of that is the character learning more about themselves. In falling in love with Killian and her past experiences with other men and with her son, Emma Swan learned that while she may have experienced a lot of heartache and loss, all of it led her to where she ended up and the man she ended up falling for. Some people have been critical of Emma having a love interest on the show or her chosen love interest. Many have said that they miss "badass" Emma and that it is a shame that she relies on a man for her happiness. Truly that is the complete opposite of what the show has done. Emma spent the first three seasons resisting any possible romantic interests and pushing people away. It was only in the last two seasons, where her relationship with Killian has blossomed and flourished, that Emma has opened up and allowed herself to become vulnerable. It has made Emma better in all aspects of her life: as a girlfriend, a daughter, a mother, a friend, and most of all, a woman. What will become of Emma Swan? That is up to the creators of the show, but I hope to see her find her happy ending, and for it to comprise all the aspects of her life. As a romantic, I hope that she can enjoy a blissful life with Killian and continue her introspection. Emma is the kind of woman who does not want to need anyone else, and in truth, she doesn't. However, having that kind of support in a romantic relationships is part of what makes her one of the best female heroines on television. This blog series will soon conclude with part 4 focusing on Killian Jones (also known as Hook) as a romantic hero. Thanks for reading! No one would have ever put them together. She was born of royalty, yet grew up in the modern world a commoner, unaware of her own value and importance until her son brought her to the place she now calls home. He was a pirate who'd lost everyone he cared about, a villain desperate for revenge on the man who murdered the woman he loved. Yet, after three seasons of innuendo and "yearning looks," Emma Swan, daughter of Snow White and Prince Charming, and Killian Jones, better known to the world as Captain Hook, are one of the most popular pairings on the series Once Upon a Time. Their journey to get to where they are now could fill the pages of an epic romance novel, filled with illustrious adventures, determined ex-lovers, and pasts that both of them needed to heal from. Unlike most of the other romances on the show, the relationship known to fans as Captain Swan was a slow burn. Killian and Emma in 2.05, "Tallahassee"
The attraction was apparent from their first adventure together in the episode "Tallahassee," yet Emma resisted vehemently. It took another season before she impulsively kissed Killian after each taunted one another that they couldn't "handle it." Another season ( which really evened out to nearly two years due to a curse) passed before they had an official first date. So, it is safe to say that when Killian said he was in this for the long haul, he wasn't lying. Emma and Killian met at the beginning of the second season, when the audience (and Emma) were unsure of the pirate's motives. There was reason to be. At that point, he wasn't even sure what side he was on. All he wanted to do was ensure his revenge on "the Crocodile," Rumpelstiltskin. The two had a complex history. Rumple's wife ran away with Killian many years prior, and after becoming the Dark One, he took his wife's life and the pirate's hand. From then on, Killian 's mind was only on avenging his first love's death. Throughout most of the second season, the side of Killian Jones the audience saw was not a most pleasant one. He bounced back and forth between being a help and a hindrance. His shining moment in the season was "Tallahassee," when he and Emma climbed to the top of the beanstalk together to obtain a magic bean. It was paralleled with learning about Emma's first love, Neal, who is also the father of her child. Killian's softer side was displayed in the episode, particularly in scenes like when Emma notices the tattoo on his wrist with his first love's name inked into his skin. It forces her to confront her own romantic past and remember it, no matter how painful. Killian spent most of the season flirting with Emma, and she spent that time rebuffing him, too busy and too afraid to take a chance with something who just might be able to break down the walls she surrounded herself with. This back and forth continued into season three, in which they journeyed to Neverland to save Henry, Emma's son. It is there that Killian and Emma share their first kiss. It is a heated, passionate moment where all of the pent-up emotion that simmered for the past season exploded. Still, Emma keeps her distance after that, even when Killian admits that she made him realize that he was capable of letting go of his first love, opening himself up to the possibility of falling in love again, just one episode later. Emma never addressed this, still continuing to back away from the possibility of love, especially since Neal was back in her life. Having two men vying for her was confusing and intimidating, particularly when the men were so different. Killian and Emma lock lips for the first time in Neverland, episode 3.05, "Good Form"
Throughout the season, many changes take place. Emma is ripped from him by a curse, separating them for a year until he finds her in New York, living a new life with her son with no memories of him. In a sad attempt, he tries true love's kiss for the first time, which does not work. What does, however, is a memory potion. The next half of the season is spent in Storybrooke with Emma doing her best to help defeat the Wicked Witch. She's also trying to help recover the memories of the missing year that seem to be absent to everyone except Killian, who won't say a word about it. It isn't until the end of the season, after a trip to the past where Emma saw her parents fall in love, kissed and flirted with past Killian, and played princess, that we find out the truth. In an earlier episode, he'd admitted to another character that he loved Emma and that she'd broken his heart. We learned the extent of that love when he tells Emma that to get to her, he had to trade something of value. When she asks what that was, he says, with a smile, "Why, the Jolly Roger, of course." His ship. His home. This was the beginning of the official romantic relationship between Killian and Emma. Season 4 was smooth sailing, generally. The audience was treated to a first date, a couple of rescues, and other couple-ish happenings. That wasn't to say the season featured no adversity. In the first half of the season, Killian made a deal with Rumple, resulting in blackmail that leads to his heart being absent from his chest for several episodes. Besides that, Storybrooke is always a place of constant conflict, therefore it is difficult to enjoy those quiet moments together, particularly for a woman known as the Savior. The end of season 4 was interesting, to say the least. The first part of the episode was spent in an alternative universe, where each of the characters was the opposite of the people they normally were. Emma was the only person who was herself, along with Henry. When she encounters Killian, he is a cowardly version of himself, yet she still finds herself drawn to him. It proves that, no matter the time, place, or circumstances, Killian and Emma always find their way to one another. Caught in the crossfire, Killian ends up stabbed by Evil Prince Charming, dying in front of Emma. She barely has time to react before being dragged away to escape her own impending death. However, the possibility that she will never see him again is very real to her. She confesses to another character that she watched the man she loved die and never told him once that she loved him. Seeing Emma, a character who had always been so guarded about her emotions, finally admit something so raw was a truly powerful moment and proved that she does love Killian, even though she'd never admitted it to him. Several scenes and a sword fight later, the real world is restored and all of the characters land back in Storybrooke. After hugging her son, Emma makes a mad dash to the loft, the last place Killian was supposed to be before the alternative universe took over. She bursts through the door to find her parents but not a sign of Killian. For a moment, a look of despair and fear crosses Emma's face. Despite all her efforts, he was gone. Promptly at that moment, the self-proclaimed "dashing rapscallion" pokes his head out from the loft above and apologizes for the mess he's made looking for her son, a sly grin on his face. Emma runs to him, her enthusiasm bursting through so much that in hugging him, the force of her embrace lands them on Emma's bed (an improvisation made by actress Jennifer Morrision, completely unbeknownst to acting partner Colin O'Donoghue). After a few moments of giggling and expressing relief, she pulls him up and says, "When I watched you die, I thought I was never going to get the chance to tell you something." Everyone, including Killian, thought this was going to be it. He grinned and teased, "Tell me what?" "That...I...want to thank you for sacrificing yourself." Killian's face fell in that moment a bit. And so did almost every fangirl's heart when they saw that damper of sadness in his eyes. Of course, he knew, like all of us, that she really did want to say it. However, as Emma had mentioned in the alternate universe, she was scared to say it because it would make it real and change everything. So, instead, he was understanding, nodding his head and smiling. When they pressed their foreheads together and just sat there, arms around one another, there couldn't have been a more perfect moment. Despite Emma's fears, Killian understands her and loves her for it. To many, it was better than an "I love you" moment. Emma and Killian reuniting after a trip to an alternative universe, episode 4.23, "Operation Mongoose, Part II"
The moment of bliss for Killian and Emma is far too short-lived, as is typical in Storybrooke. The darkness eating up the show's arch villain, Rumplestiltskin, finally becomes too overwhelming and is removed from him, only to surround the town and try to attract a recently reformed villain, Regina. However, Emma won't have that. As the Savior, she feels she is the one who should make the sacrifices, no matter what it costs her. She grabs the Dark One dagger and starts making her way to take on the darkness. First, her parents beg her not to. She tells them that they can save her and that they've taken the darkness out of her before. They can do it again. Before she turns back, though, Killian makes a final plea, begging her not to do this. With tears in her eyes, Emma says "I love you," the words we've been waiting episodes for, and holds his hand to her chest before wielding the sword and allowing the darkness to consume her. After a few seconds of churning magic, Emma disappears and the Dark One dagger clinks to the ground in the middle of the main street of Storybrooke. Killian's face of despair is the last thing the audience sees as the season closes with a view of the dagger and the name Emma Swan clearly engraved across it. Safe to say that left season five open to many theories and opinions from fans. As a huge fan of Emma Swan as a character, I was definitely nervous to see what the creators dubbed as the "Dark Swan" emerge. Comic-Con gave fans a first peek at the heavily bleached, leather-wearing Dark One, and it scared me a lot. After all, how would this impact what fangirls call my OTP (one true pairing)? The theories other fans came up with scared and worried me. It allowed my imagination to get far too crazy with possibilities. Contrary to what I thought, the Dark Swan arc has actually allowed for some beautiful Captain Swan moments. Emma's initial response is to fight the darkness, even though the voice of the Dark One (Rumplestiltskin, in her case) keeps gnawing at her. Killian is her light in the darkness, encouraging her to make the right choice and ignore the voice. It led to a gorgeously shot scene in the last episode where Emma and Killian share a very fairy-tale-like kiss in a field of roses, the first time Emma has been free of the dark voice. He loves her unconditionally. However, these scenes are sharply contrasted to scenes six weeks in the future, where Emma has completely embraced the darkness. The other members of the town have no idea what transpired during that period, except that Emma has made a complete 180-degree shift. Initially, she attempts seduction as a way to keep Killian on her side, channeling a bit of Harley Quinn from the Batman comics in her attempts, but, as proof that he truly has changed, he walks away and tells her that is not the person he is. When Emma realizes she needs something from him, she changes tactics, instead preying on the memories they have built together over the course of their relationship, wearing the sweet, innocent pink dress she wore on their first date and grabbing a sword to try to remind him of how she taught him how to use it in the alternate universe. The problem is that Killian knows these are only games. He allows his vulnerability to shine when he admits he liked her the way she was. The line, "I liked your walls. I liked being the one to break them down," was beautifully delivered by Colin O'Donoghue, and the pure pain in the scene is conveyed beautifully through his acting. Emma, a little bit of the real her finally shining through, asks if he loves her, and tells them that if he doesn't, she will let him go. After a long pause, he replied with "I loved you." Emma, again allowing a bit of herself to shine through when her eyes wet with tears and she whispers, "The ship's yours" before disappearing into a cloud of gray smoke, breaking the hearts of fans everywhere. The Dark Swan attempting to seduce Killian, episode 5.02, "The Price." That is the most recent scene the audience has of the couple, although last week's episode heralded the aforementioned rosy meadow scene with an epic fairy tale kiss. Killian may have said "loved" using past tense, but the week before, he used it in the present tense. He was simply trying to get through and see if the real Emma was still within her. She needed to understand that he's not going to condone and like who she is right now because that's not really her. This arc is a true test for them to see if there love is strong enough to withstand the strain of this. It may not seem like it right now, but Killian Jones and Emma Swan are going to make it through whatever obstacles are in their way now and in the future. They have been defined by the creators of the show as True Love, but to me, it's been obvious for a long time now. Each of these characters has gone to great lengths for one another, putting their hearts and lives on the line in order to discover who they were and their capacity for a relationship of this intensity and passion. What that's done has broken down the walls Emma has surrounded her heart with and changed they way Killian moves through his life. Emma is now much more vulnerable (or was until the darkness took over) and Killian is now a hero. That's the kind of fairy tale I want to read to a child, one that is modern and can inspire hope that love can change people in the most beautiful ways and a open a person's heart when no one else thought it was possible. Emma Swan and Killian Jones, the ultimate fairy tale couple, in episode 5.04, "The Broken Kingdom"
Next weeks's installment will focus on Emma Swan, an unconventional romantic heroine. 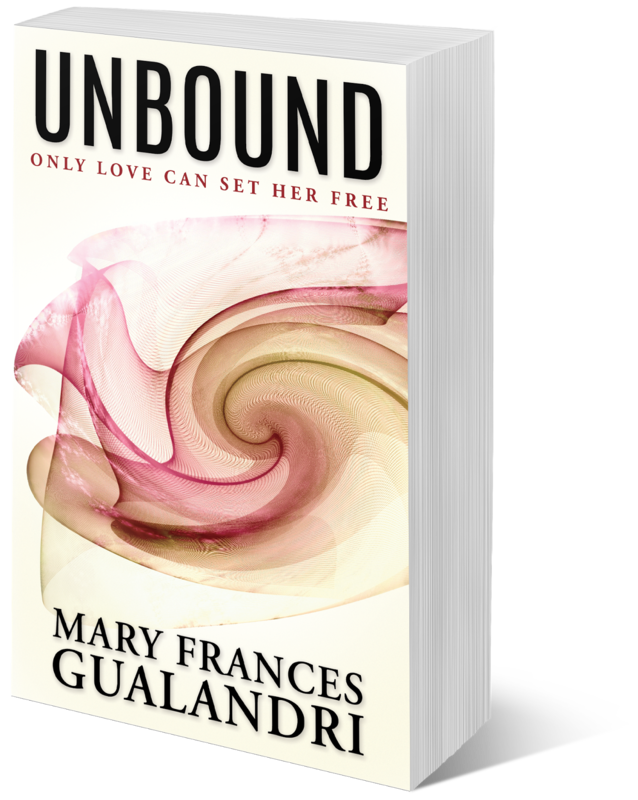 Mary Frances Gualandri is a self-published romance writer. For more information, please visit the Biography page. Mary Frances Gualandri. Ethereal theme. Theme images by Jason Morrow. Powered by Blogger.